atma is the morning radiance to keep your skin illuminated all day long. Our secret of the soul formula was created to complement your current skincare regimen to enhance your natural beauty and encourage a healthy glow. 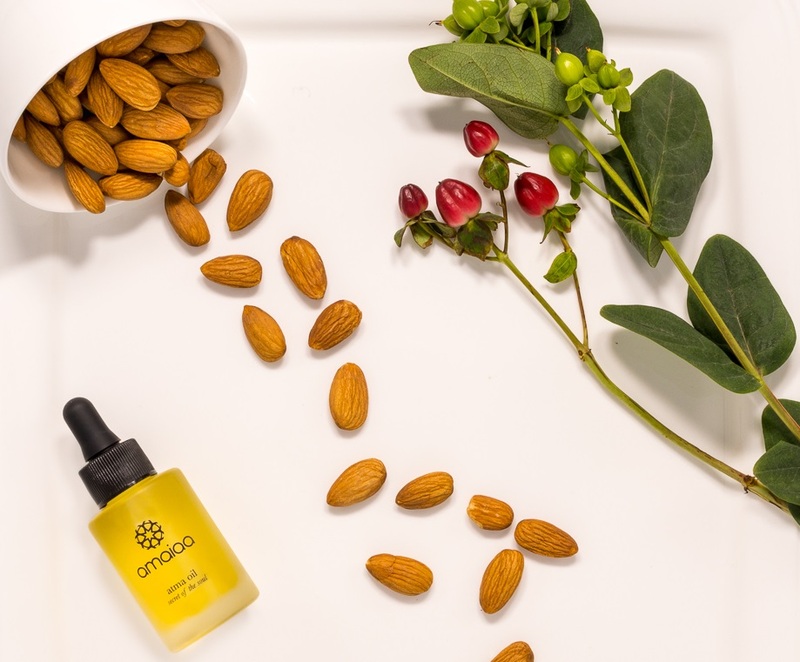 With ingredients such as argan, apricot, jojoba, safflower, rose and indian sandalwood, this oil will nourish and revitalize your skin with an abundance of moisture and antioxidants. 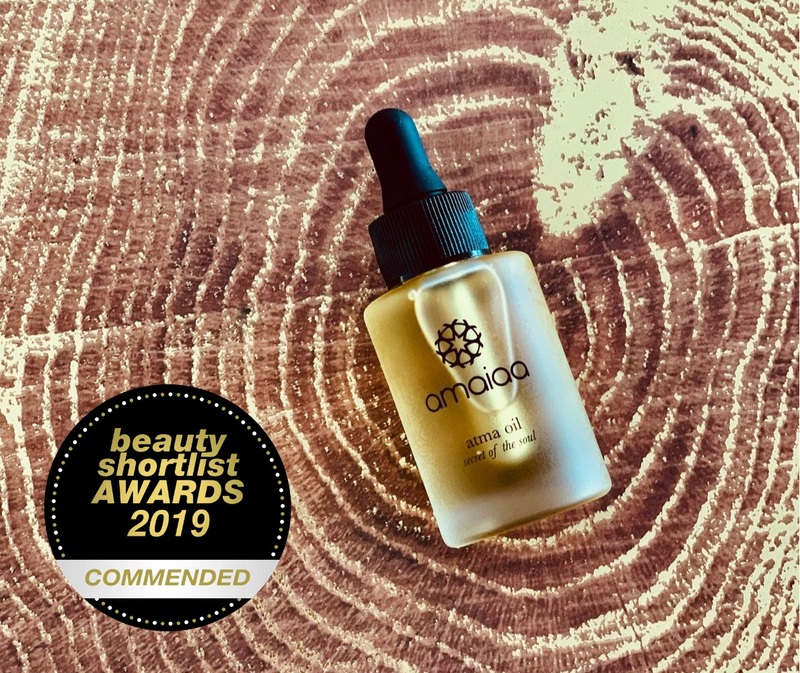 Our atma facial elixir combines the best oils nature has to offer, giving you a natural moisturizer that contains many vitamins and nutrients essential for nourishing, hydrating and restoring skin to a luminous glow, while smoothing and reducing the appearance of wrinkles and fine lines. Need a beauty boost? The B vitamins found in atma give your skin stunning results. B1 has powerful anti-aging properties to sustain a youthful glow, while B2 helps treat rosacea, acne, sun-damaged skin and aging by promoting healthy cell rejuvenation, leaving your skin naturally radiant. B3 improves the complexion by reducing the appearance of fine lines and redness, leaving your skin softer and smoother. As B5 heals and protects your skin, it reduces inflammation and softens imperfections creating a healthier, natural skin tone. Our luxurious atma formula also protects your skin against environmental stress like pollution and climate change. It slows the aging process by combating free radicals, giving your skin a more youthful appearance. Several vitamins used in our exclusive formula contain anti-inflammatory antioxidants. Vitamin E, known for its healing properties, promotes a flawless complexion. Vitamin A contains retinoids that encourage the regeneration of new skin cells, giving you a fresh, healthy glow. 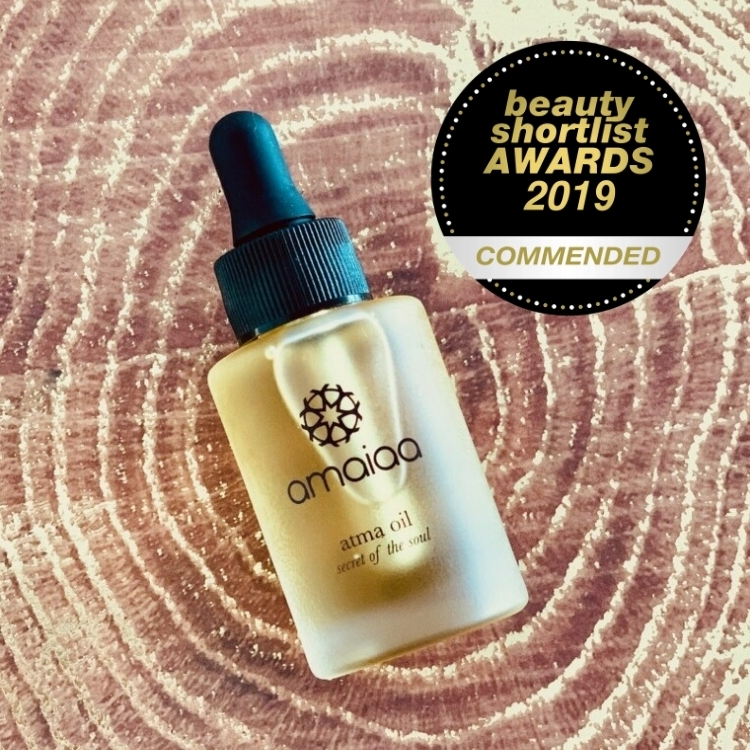 Our elite atma oil is feather light and quickly absorbed by the skin, making it the perfect partner for your daily skincare regime and makeup routine. We formulated atma to work for all skin types including oily, dry, combination, normal, and sensitive. The word atma translates to ‘soul’ or ‘inner self’ in the ancient Indian Sanskrit language. As atma is absorbed into the skin, it begins working from the inside outward to display your inner radiance to the world. You deserve naturally luminous and healthy skin. 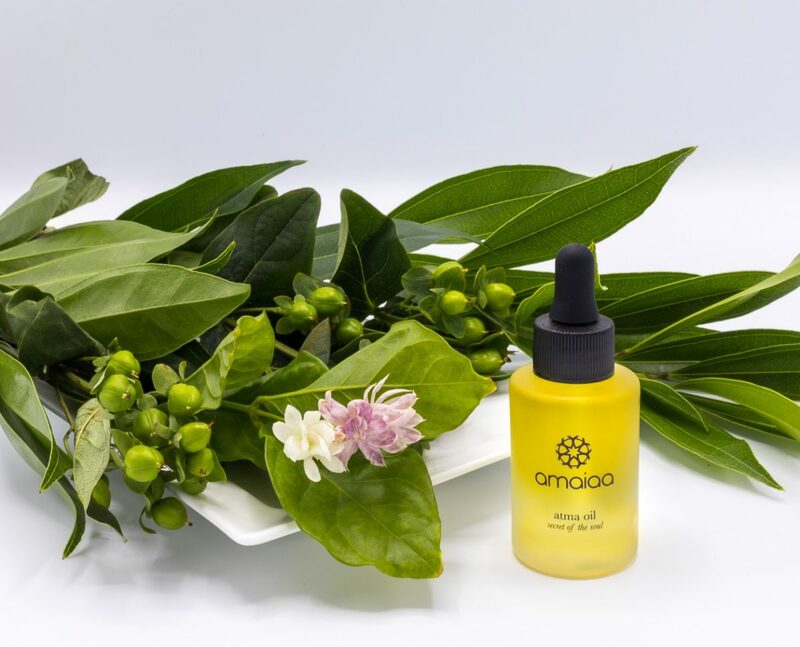 Pamper yourself with the many exquisite and medicinal oils found in nature by using atma oil facial elixir each morning. Begin your beautiful journey to better skin today. This product is amazing! My skin is super sensitive, so I have to be careful about what I use on it (no harsh chemicals!). 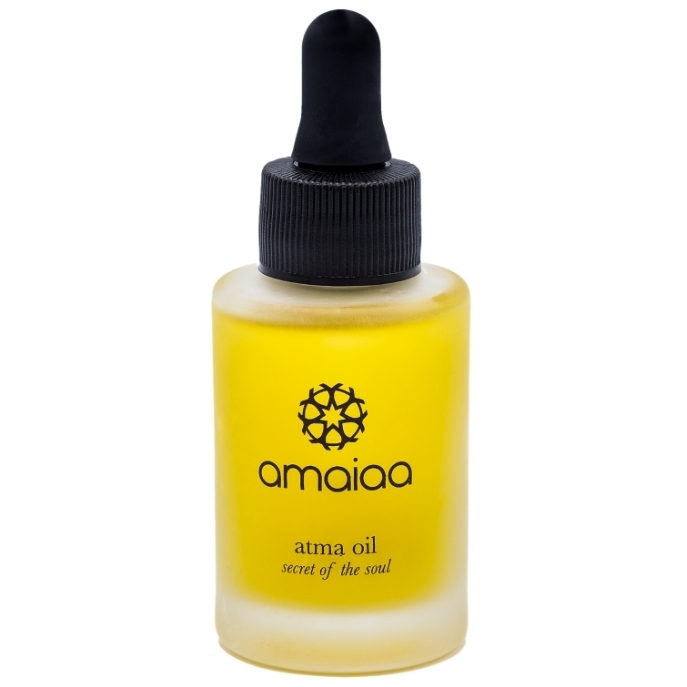 The atma oil is all natural and my skin loved it. It absorbed quickly and gave me a glow that lasted all day. After using it for a few weeks, my skin feels much softer and moisturized than it used to. Also, the atma oil smells wonderful! Loved this. Perfect product to put on before applying my makeup for a smooth finish and a glowing base. Goes great with my powder foundation and doesn’t make my skin oily. I love love LOVE my atma oil! I’ve been searching for the perfect facial oil for a long time and finally found it!! 100% recommend! This is a beautifully formulated product. The natural scent from the essential oils is intoxicating and the oil leaves my skin moisturized and fresh. It absorbs quickly and I feel good knowing I am using a product with natural ingredients that is formulated responsibly. Definitely a product to try. It’s truly beautiful. I am loving this product! 100% recommend!! I don’t often use the products my wife has on our dresser, but this one is great! She’s always complaining about my scruffy beard and the razor bumps on my face. After a week of using this oil on my face my skin is smoother and no more complaints from my wife about my dry beard. Amazing product! I have a ton of moisturizing and anti-aging products, but this is a perfect all-in-one formula! Found you guys on instagram and have been following you ever since. 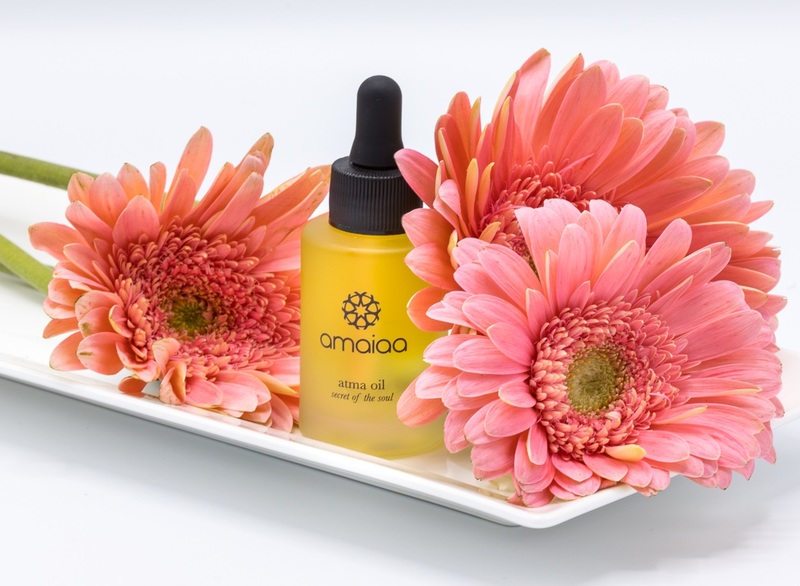 I’m such a fan of your brand and the atma oil! super hydrating! Def recommend for people with sensitive and super dry skin like me. Great product. 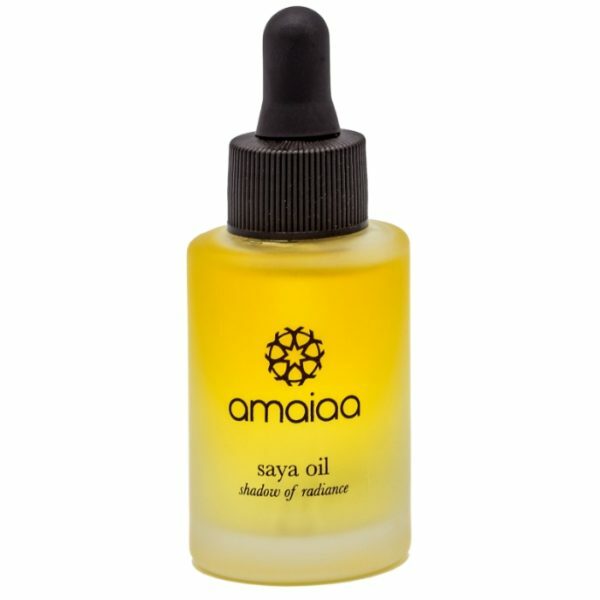 I was afraid it was going to make my skin too oily, but after my friend recommended atma oil, I decided to give it a try. After about 2 weeks I noticed a change in my skin and less blemishes. I literally love this facial oil! Wish I had found this product 20 years ago!! I’ve had rosacea for most of my adult life, but since I’ve been using atma, it’s gone! And smoothing out the fine wrinkles on my forehead has been a bonus. I also like that this is an oil, but isn’t at all oily. I’ve tried other oils and serums, I’ll stick with this one. Thanks amaiaa!! This product is amazing. Whenever I use it, I get an immediate glow. I usually use it after my face wash or underneath my makeup and my makeup is never dry. It gives this glowy, juicy look. I 100% recommend this product.